High quality, cleaned and pre-treated coco coir ideal for pot culture or other bulk uses. It is buffered and contains Trichoderma, a beneficial fungus which will feed off any nasty pathogens that may come into contact with your crop. Very easy-to-use and gives great results. 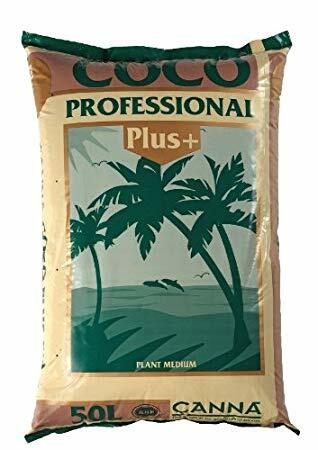 CANNA Coco Professional Plus is a coco-based growing medium that offers the gardener and his plants many advantages in comparison with other substrates. CANNA Coco Professional Plus is a pure, organic product with a homogeneous structure and has had a full buffering, eliminating the side effects of growing on coir, as coir could consume some of the nutrients. CANNA Coco Professional Plus is free of harmful viruses and soil diseases, thanks to CANNA's unique production process. CANNA Coco Professional Plus has a complex water/air system that provides the ideal conditions for growing plants. CANNA Coco Professional Plus contains a special mould (Trichoderma) that protects the plants against soil diseases. CANNA Coco Professional Plus can be used a number of times and makes an excellent potting mix improver after use. CANNA Coco Professional Plus consists of 100% coco flakes. Specially selected prime Indian coconuts form the base for CANNA Coco Professional Plus. Not touching the outdoor ground in the complete production process ensures the end product is free of weeds or soil diseases. It is washed in fresh water meaning no salts are present. This makes it the best growing medium of the future. 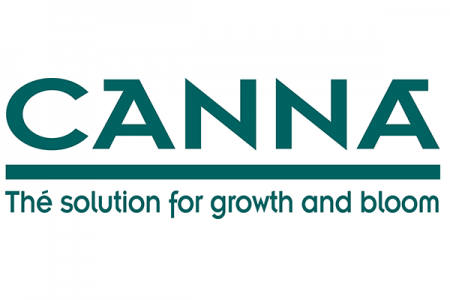 CANNA Coco Professional Plus carries the strictest R.H.P. quality mark. In fact, the quality of this product goes well beyond the R.H.P. standard. In short, the R.H.P. quality mark means that the product is free of weeds. The R.H.P. inspection is not limited to the finished product but covers the sourcing and processing of raw materials all the way to the bag. CANNA's buffering process allows us to 'pre-program' the medium to a certain age. This ensures you get the same consistent, high quality material time after time.